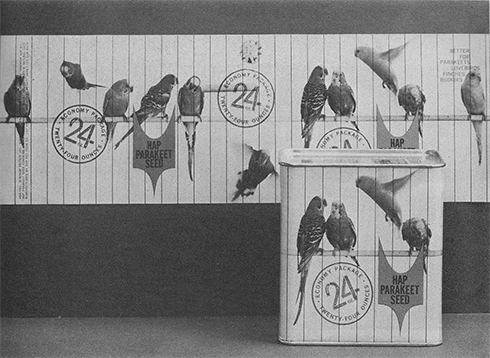 The designer wasn’t credited, but after poking around for a while online I was able to figure out that its designer must have been Vance Jonson—whose “Dici” bra packaging design we featured a couple of weeks back. 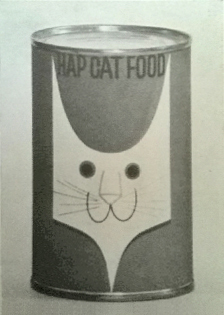 What attracted me to the label was the stylized, geometric shape of the cat’s head, with ears and neck, each coming to a point. 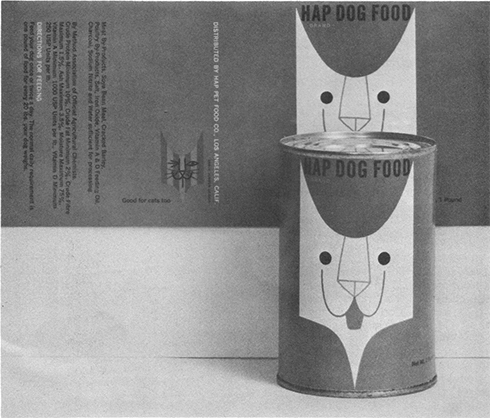 Looking into the “Hap” pet foods brand, I was surprised to learn that this shape actually started out as a heraldic device that the brand used in all of its packaging. 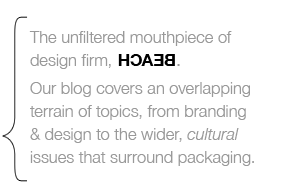 What I thought was a particularly apt and artful cat head shape, was actually an abstract logo. 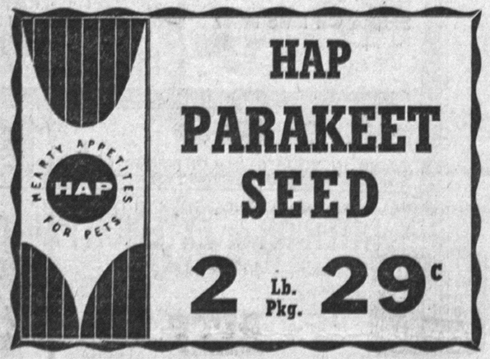 And while we have some evidence that the Hap Pet Food Company made cat food and dog food, birdseed appears to have been their flagship product. 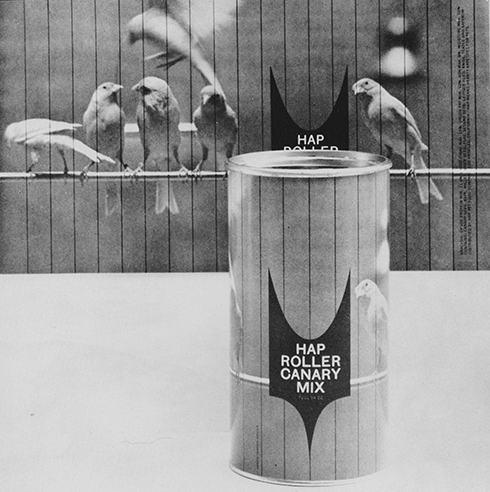 Once you’ve seen the Hap emblem transformed into a (hep-cat) cat head, it’s hard not to see it as a somewhat predatory element on its birdseed packaging—a fox guarding the hen-house sort of thing.